All too often, many business owners fail to realize that establishing a web presence does NOT automatically equate to getting new customers and increasing revenue. How many businesses do you know set up shop and quickly see a steady flow of customers WITHOUT any form of marketing? For a business to grow and succeed, GOOD word must get around about the products/services that it offers. On an informal level, this usually starts with the business owner telling family and friends and getting them to give it a try. If these first customers have good experiences, they will likely encourage others to try as well. And so the seeds of referral (word of mouth) marketing are planted. There are lots of other ways you could go about promoting your business offline from passing out business cards, to using classified ads, to networking with fellow business owners. The situation is very much the same in the online world. When you launch your website, all you have done is set up shop. Now you have to get the word out about your website to draw customers to it. If you want your business to experience steady growth, you need to come up with a marketing plan and follow through with it. Your business website is SUPPOSED to be your most valuable CSR (customer service representative)! One who needs NO sleep and is available 24 hours a day, 7 days a week, 52 weeks a year representing YOUR business. User-friendly websites give visitors a good first impression along with relevant, easy-to-find information thereby making them want to stick around. Search-engine-friendly websites make it super easy for search engines like Google to properly index their pages and list them in their search results. Device-friendly websites look great to visitors whether they are using their desktop, laptop, tablet, or smartphone. Second: the ultimate goal of your 24 / 7 CSR is to bring you more business, more sales. The best salespeople understand that EVERY reason for a buying decision falls into one of two categories - to bring pleasure or to alleviate pain, and they know how to effectively leverage this insight. In a similar way, the information on your website must be structured to address one or both of these factors so as to successfully guide your customers through their buying process. Once your website is ready for action, the next step is to put it to work for you. This requires getting people to visit AND to interact with your website - browse the pages, subscribe to your email list, use the contact form, make a purchase/booking, etc. As shown below, there are various ways to drive traffic (or web visitors) to your website. 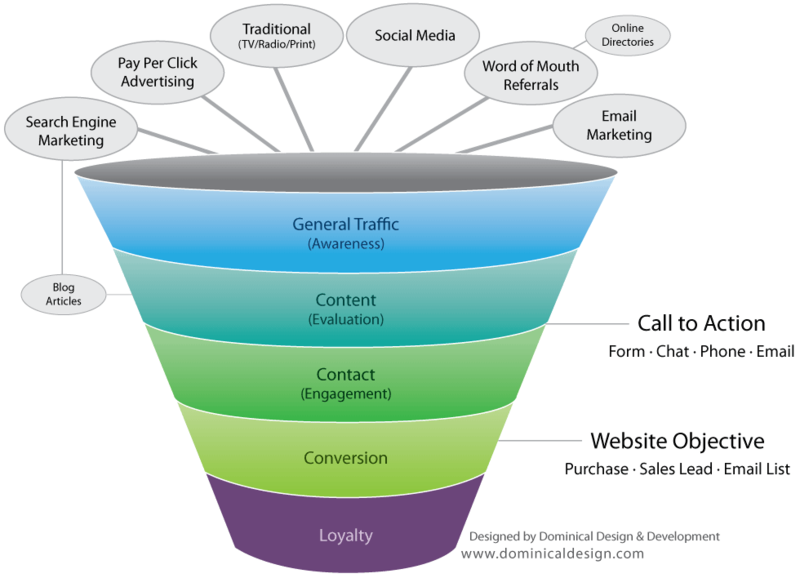 Once the visitors get to your website, they must be enticed to move through your sales funnel. Remember, the ultimate goal of your 24 / 7 CSR is to bring you MORE business, more sales. If it is not fulfilling this purpose then it is nothing more than an expensive online paperweight and THAT is of no benefit to your business. Here at iBeFound, we work with businesses who want their website to fulfill its pre-ordained purpose. We understand that there is no one-size-fits-all, silver bullet to marketing success. However, there are basic principles that have stood the test of time despite the advent of new technologies. Our marketing research team is guided by these principles in mind as it focuses on finding and testing various marketing techniques. We keep what works and discard the rest.